So after a conversation over Facebook, I’ve volunteered to host this year's Christmas countdown, since our Franny is busy with packing. I don’t think this is going to be as good but , hopefully, it won’t be bad a substitute either. So, I will post about once a week on the weekend I’m going to aim for a Saturday, I may increase to twice a week nearer Christmas,we;'ll see how things go. If anyone has any post they’d like to share about Christmas if you leave the URL address in the comments I’ll post it on Wednesday for a bit of festive mid-week reading. I thought I would kick off my talking my some of my favourite Christmas memories. 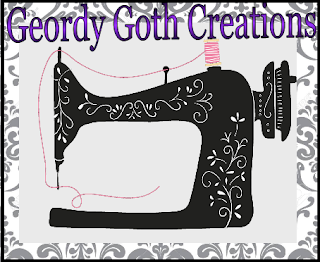 I wasn’t sure where to begin so I thought; I would start by chatting about some my memories of and some the tradition I used to do over Christmas. Originally, I was brought up as Catholic and an attended Catholic School. As part of the Catholic traditions, we would spend every year counting down Christmas through lighting the Advent Wreath. I always loved the countdown to Christmas and the aroma of the church candles, it meant looking forward to Santa Clause coming. The word advent comes from the word Adventus meaning to come to. 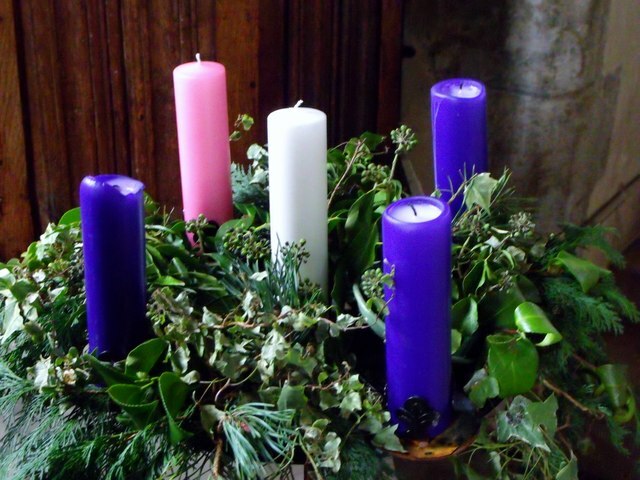 The  wreath made from evergreen, displays five candles, with four candles on the reef, one is pink and the rest are purple. The one in the centre is white lit on Christmas Eve/ day represents Jesus’ birth. Usually, the candles are lit on the first Sunday four weeks before Christmas. The candles represent hope, peace love and the pink represents joy. My Dad worked in the merchant Navy and usually was absent for Christmas this was normal for me. 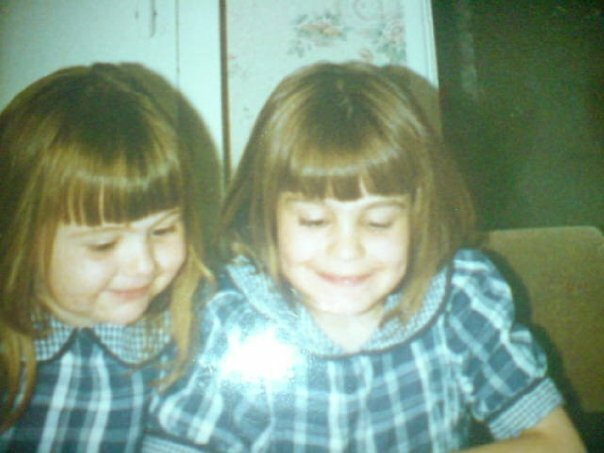 Every year My Mam would dress me and sister up in matching Christmas dresses, take photos to show my Dad and send to our family in London. I absolutely hated the experience every time.We would go to my Grans for Christmas Dinner and my Gran would have already had the Christmas dinner. My Mam would either take over or assist with preparations. When I was younger, I was such a fussy eater I would usually have a plate of Yorkshire puddings and carrots eat with a soup spoon with no gravy. Where everyone would sit have my Grans delicious turkey dinner with all the trimmings. Afterwards, we would pull some Christmas crackers and sit around in silly paper hats. My Gran would prepare desert again my Gran would always serve me her delicious apple crumble with ice cream while the adults had Christmas puddings. Afterwards, we would spend hours,opening presents , chatting and watching reruns of old Christmas comedies’. After my Gran died there was always a big hole left; Christmas felt a rather depressing time of painful memories. Until Mam and I developed our own traditions of visiting the German Christmas market, it's never filled that hole but it gave us a new annual tradition for the two of us. We usually booked up a coach trip that took us to the most beautiful parts of the world. I absolutely fell in love with the Fairytale Romance of Germany and the Rhine Valley's Castles. The Christmas Markets with their wooden style log house huts with beverage stalls selling Wellington style boots filled with Glühwein and bratwurst to keep us warm. My favourite place was The Black Forest region which was breath taking and after It's where I learnt often about some of the German traditions of keeping witches in the house as a way of keeping away evil; supposedly the uglier the witch the better she was for keeping away the demons.Well, this what I was taught, by our tour guide I'm unsure whether this is entirely correct. There was one lovely memory a few years ago, I had the first ever time I can recall having Christmas dinner with my Dad, with my ex- being absolutely ill still managed to cook an outstanding dinner. It's really difficult to describe that experience but it was just amazing. Simple but it one of the first time it felt like Christmas. (I don't have any photos of that day just this one of my dad and my Mam. This year has a weird feeling, I can't believe we are in December already it terrifying how quickly time seems to disappear. I'm finally in our new house, so this year feels strange as everything not quite finished but yet I'll be spending our first Christmas in my house.. it feels like only yesterday when I was a kid waiting for Christmas. The is not finished I'm sure whether to decorate. for Christmas. If not I've seen a small Black tree. 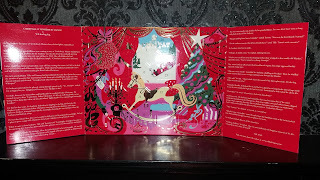 This year the boyfriend purchase an Advent calendar leading up to Christmas Say. I would love to hear from other people's stories, memories, even quirky family traditions or anything interesting. I love the idea of the candle lighting! And it's nice how you started a new Christmas tradition for your mum and you! My partner and I like to have an Xmas tree, it's kind of annoying to put up but it's nice to have our own traditions. I got an advent calendar as I like them but it was a cheap one and didn't have the pictures inside the doors, just cheap chocolate! Oh well! For the dog the highlight will be leftovers. The bird probably just hates Christmas. Sadly we don't rarely do the Christmas markets for various reasons but we still go on holiday together every so often. Me and my partner rarely celebrate Christmas but I've just bought a 3ft black Christmas tree. I might put a couple of decoration up but I'll like Christmas to be simple. It's nice having the calendar he only bought it as it was on sale. I think every adult who hasn't had kids themselves long for Christmases past when the whole day seemed to be made just for them. Neither my cousin nor myself have kids and we both agree Christmas has just never been great since we were kids. But my brother has three little girls of his own now and they love hosting Christmas at their house. Thanks for picking up the Christmas post torch this year! I'm in a total slump this week so I hope it's ok if I post next week? Post when you can don't worry I'm not strict about the day it was just an idea. Or suggestion. I'm really easy going as long so helping filling the Christmas blogging itch. I didn't mean to get to heavy or personal or anything. Next ones are going to be more light hearted. Crafts, Christmas decor ( this isn't exciting its just going to be my Christmas tree, and food and drink I like at this time year I'll make some fun nibbles or something. lol. Last couple of Christmas have been very simple and I've been up to my Mams and brothers who has my two sons. So it nice to see the family as we rarely get together.For me the best part getting drunk on alcohol and vanilla cake lol. It definitely doesn't have same appeal as when I was young. WAHOO! Thanks for filling in for me, sweet friend! I might actually get a post in at some point this season, especially after all of our stuff is picked up and on its way to Texas. Love and more love!! Aw, thanks!!! Yeah, between packing and grading I'm trying to keep myself focused and healthy. I'm VERY excited about the whole thing: a new state to explore, new friends, new job, new food, WAHOO! Thanks again!!! No problem, it sounds like such a exciting time and life has to be forcused on those areas. I'm getting excited just by reading your post. WOO. No problem I completely understand Christmas is a weird time as the worst periods of my life have happened at this time. I feel weird not working Christmas, to be honest as I used to work it. I'm sorry about your dad. If you post feel free if not I understand I only did this a few blogger were missing the Professor's Christmas blog countdown so offered to do this as a way of filling in .I'll still be tuning in for your update posts whatever the subject. I love you . Ps. all post aren't going to be about Christmas. I'm still be tuning into your blog as I love reading it. I know you would still read it I'm not really a Christmasy person so I want to forcus to much on Christmas. What a beautiful post Sarah! I love the candle tradition! And, hearing about the witches in the home! Love the photos! Thankyou for sharing!! Big Hugs! Thanks Hun that's sweet, I love Germany and some of their wonderful traditions. I've got a feeling about candle tradition is more than likely something the ancient Pagans practice during the winter solstice, I'm my knowledge is limited. Yeap, I love my witches, I'm not a practising pagan or Wiccan by any means but I just love having them in the house. Their best I can do as I don't have that many old photos they disappear . Any big hugs back. Haha I was a picky eater as well as a kid! Can't belivie now how many amazing dinners I have missed by just eating my sausages. No problem. Lol I know what you mean, I now love my food at some point I would devour anything but I'm starting to become a bit more picky again. That'll be great if you can post something. I totally agree with you there it's nice to have the old traditions but creating new ones is always fun and makes Christmas enjoyable. This Year I'm going trying make a big effort but forcus on doing home treat by making things myself lol. As this maybe the last Christmas I can enjoy before going back to paid work lol. I'm starting to realise the best Christmas's have been the ones I had as it's been simple and a chance to spend time with the family. I think that's what's its about.